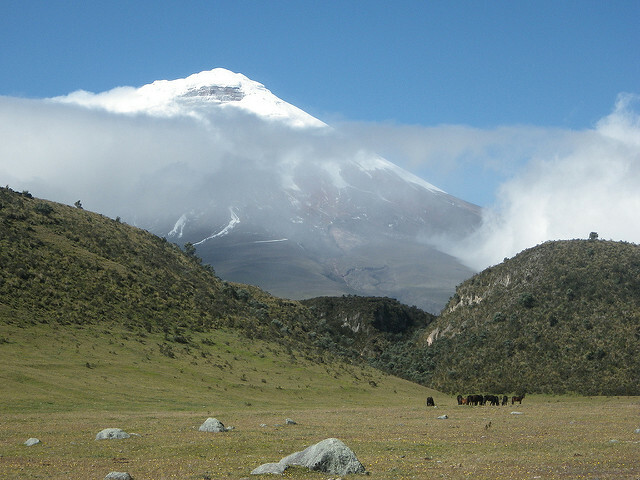 Some consider this to be Ecuador's finest longer trek, a 4 to 5 day trek through some of Ecuador's finest landscape, passing the defunct volcanic peaks of Antisana, Sincholagua and Ruminahui, before finishing at Luguna Limpiopungo between Ruminahui and Cotopaxi. 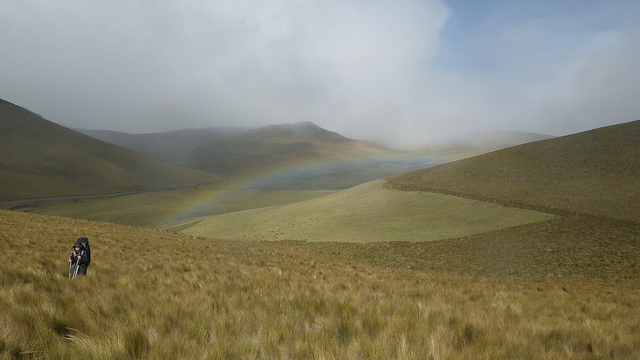 Wonderfully remote scenery below and between some of Ecuador's greatest mountains, taking in valleys, lakes, passes and high paramo. Wildlife you are likely to see includes the eponymous condor. 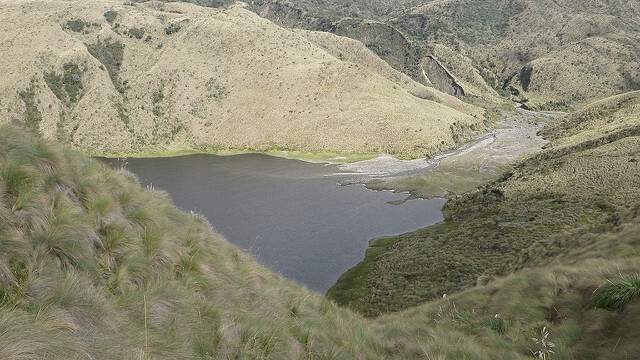 Some consider this to be Ecuador's finest longer trek, a 4 to 5 day trek from El Tambo near Lake Papallacta on the Quito-Baeza road through some of Ecuador's finest landscape, passing the defunct volcanic peaks of Antisana, Sincholagua and Ruminahui, before finishing at Luguna Limpiopungo between Ruminahui and Cotopaxi. 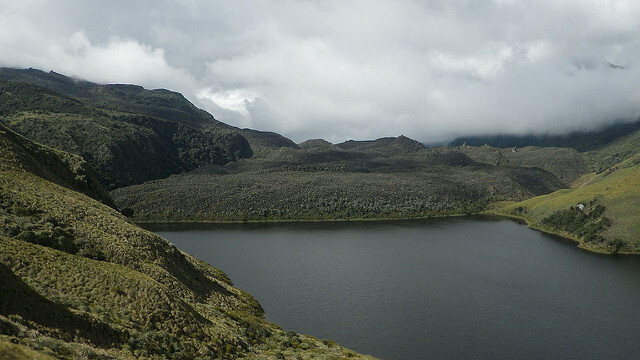 You will enjoy wonderfully remote scenery below and between some of Ecuador's greatest mountains, taking in valleys, lakes, passes and high paramo. Wildlife you are likely to see includes the eponymous condor. 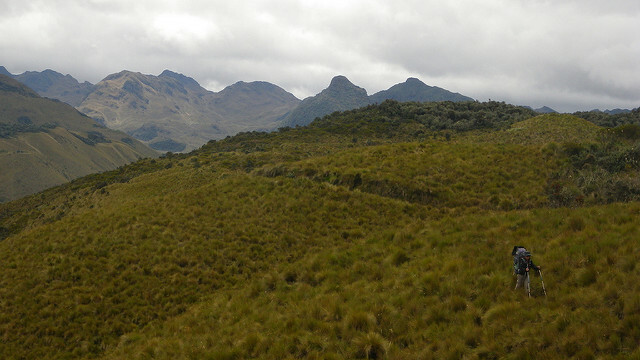 Day 1 begins in muddy valleys and forests, ascending into paramo to reach Laguna del Volcan. 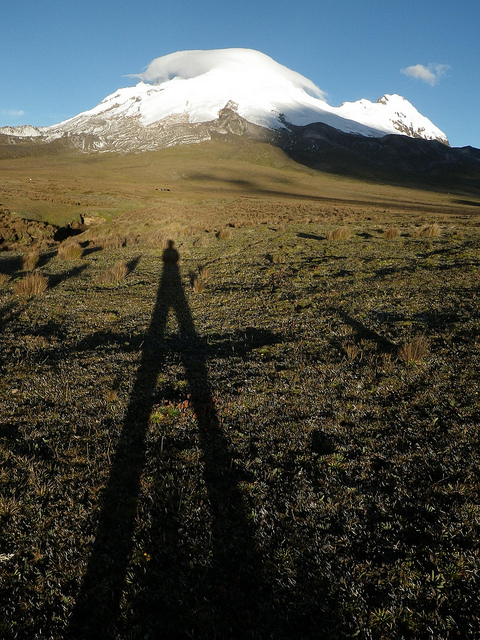 Day 2 passes the superb snowy volcano Antisana, a tough technical climb, and reaches Laguna Santa Lucia. Day 3 gets you to the base of Sincholagua. 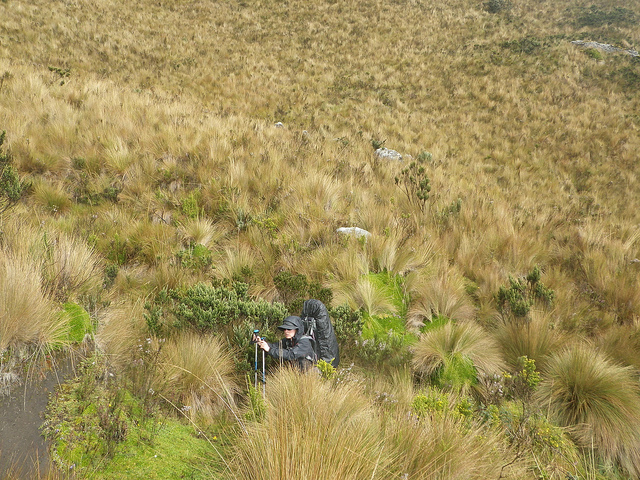 Day 4 crosses the shoulder of Sincholagua, reaching the Pita River on the edge of Cotapaxi NP. 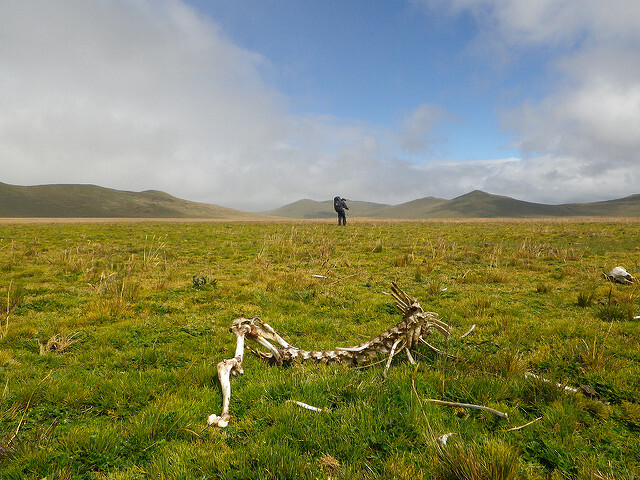 Day 5 is another 3 or 4 hrs to Laguna Limpiopungo in the heart of Cotapaxi NP. 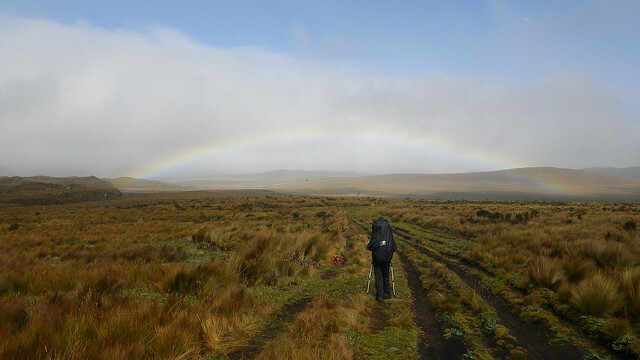 This is a demanding trek across high paramo with some long and steep ups and downs and can involve poor weather and mud. 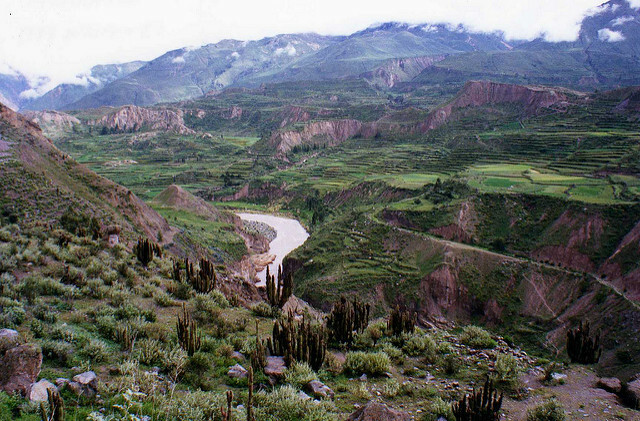 You will be camping in remote mountains and will need to be self-sufficient, so you will heavy loads to carry, unless you have mules/ponies with you. Altitude can cause real problems. Come fully prepared, including proper acclimatization. 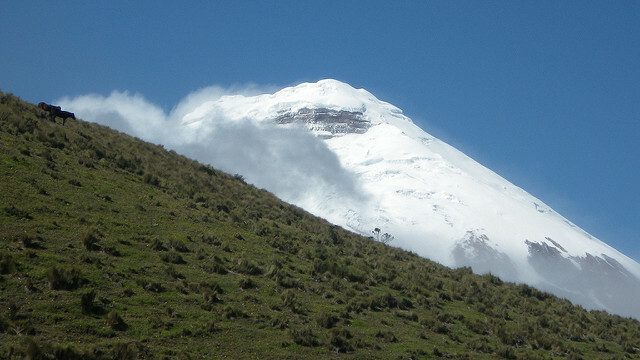 As of 2015, www.ecuadoradventure.com claim to have particular Condor Trek expertise. 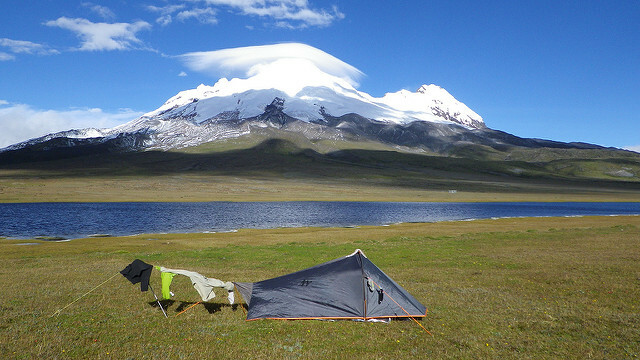 For more information and photos, including detailed practical information and some warnings, see our Cotopaxi Area walk page.